MSM is a form of Sulphur. Sulphur is needed to form collagen. 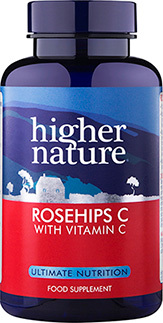 Glucosamine, an amino sugar, occurs naturally in the body where it forms part of the connective tissue and helps maintain joint and cartilage function.Copper is needed for connective tissue structure and zinc helps maintenance of normal bones.Contains vitamin C which contributes to normal collagen formation for the normal function of cartilage. 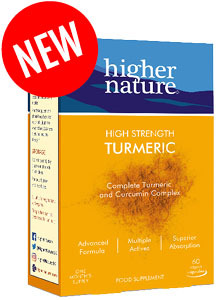 Also contains celery seed, nettle, ginger, ginseng and kelp. Not advisable if pregnant or taking blood thiners. 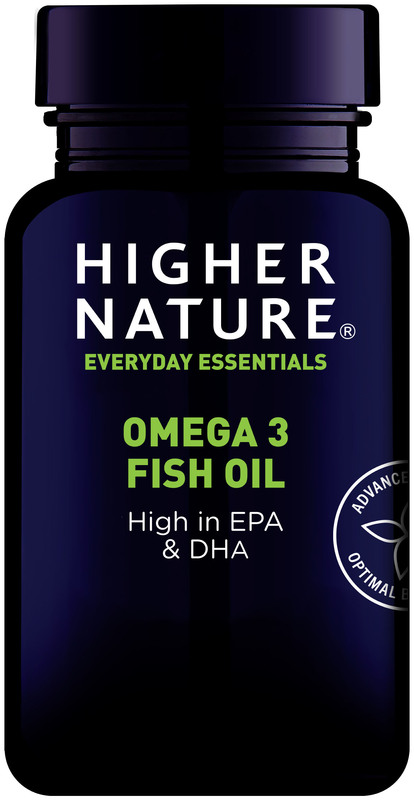 May not be suitable for people with a fish or crustacean allergy because of the Kelp content. 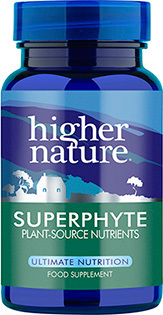 450mg MSM, 150mg Glucosamine (from 180mg Glucosamine hydrochloride), 7.5mg Celery Seed extract (equivalent to 75mg Celery Seed), 18.75mg Nettle Leaf extract (equivalent to 75mg Nettle Leaf), 25mg Ginger extract (equivalent to 500mg ginger rhizome), 30mg Vitamin C, 1.5mg Panax Ginseng (equivalent to 15mg Panax Ginseng), 5mg Zinc (citrate), 5mg Kelp, 250µg Copper (citrate), 250µg Boron. Take 1-4 tablets a day, with meals, building gradually. I have recommended these tablets to dozens of people as they reduced my finger joint pain remarkably quickly. All I can say is, what have you got to loose! Since taking msm regularly through the summer, I no longer suffer the terrible symptoms of hayfever that used to make life in hot summers so miserable. Even my GP agrees ! 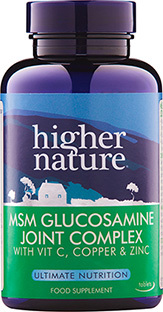 A number of years back I started taking Glucosamine for my joints. It took a few weeks to take effect but it made the difference and I went down to a lower maintenance dose. This last year I have been recovering from a major operation and as a result of no longer taking anti-inflammatories my joints were once again a problem. I went back to a higher dosage of 3 a day, which has worked. Here we address four male concerns and offer a few helpful tips to keep you feeling great and looking good no matter what age. Ageing is a hot topic, with 1960’s baby boomers predicted to outnumber children aged under five years by 2050. But whilst the population is ageing, healthy life expectancy in the UK is only 64 years for women and 63 years for men.